Gatorade & water will be provided during all training sessions. Commuter can check-out @ field if parents are present. Commuters can depart the evening session from the field, if their parent is present. Morning drop off at the dorms at 8:40am or at the field by 9:00am. Check with your coach the night before about which field you will be on in the morning. After the morning session, campers will walk back to the dorms for check-out. Commuters may check out at the field with their coach if a parent is present. 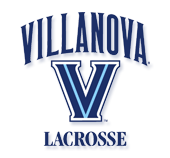 Check out this Lacrosse camp 'Wildcat Camp(Open to rising 5th grade- rising 8th grade)' with Villanova Women's Lacrosse Camps & Clinics!